The Millbrook is an original Brooks bag design from the 1950’s. 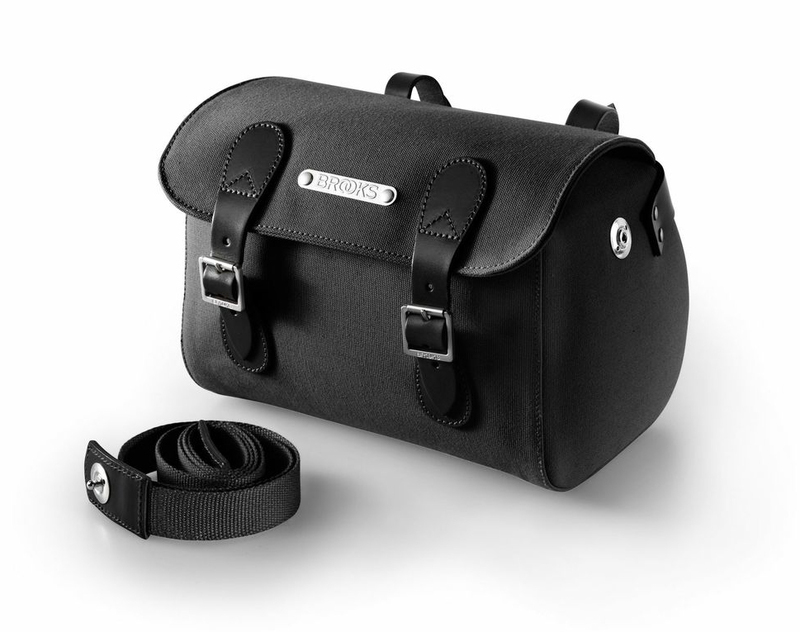 Its design is intended for use on the handlebar, though it is also quite suitable for duty as a saddlebag. Items such as cameras, maps, small tools, and snacks are conveniently held before the rider, enabling easy access whilst on tour. 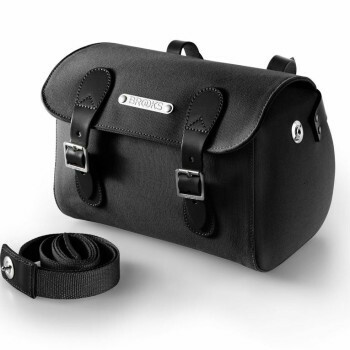 Made from Bluesign certified textiles and genuine Brooks Leather, the storage compartment of the Millbrook also contains a handy leather-trimmed strap which, when removed, connects easily via tenax fasteners to the exterior panels, converting from handlebar to should bag in an instant.